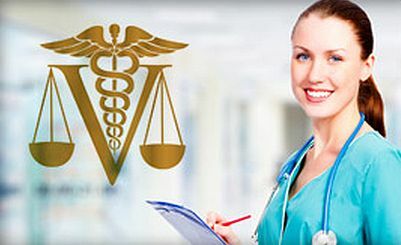 Legal Nurse Consultants ( LNC), provide support to attorneys in medically-related litigation cases and medical-legal areas; such as personal injury, product liability, medical negligence, toxic torts, workers’ compensation, risk management, and fraud and abuse. The American Association of Legal Nurse Consultants(AALNC) has defined Legal Nurse Consultants as a specialty practice of the nursing profession. LNC’s serve as the liaison between the legal and medical disciplines and are consulted due to their expertise in nursing and healthcare. The main role of the LNC is to evaluate, analyze, and provide informed opinions on the delivery of health care and the resulting outcomes. Organize and summarize various medical records. Conduct pre-suit clinical record review for liability exposure. Reviewing, analyzing and summarizing medical records and other documents and comparing and correlating them to the allegations. Conduct medical and healthcare research; including standards of care, guidelines, regulations as related to the healthcare facts and issues of a case or claim. Identify and locate testifying expert witnesses. Review and draft responses to special interrogatories pertaining to clinical issues. Educate attorneys and/or others involved with the case regarding the medical-legal or healthcare issues of the case. Assist in preparation of demonstrative evidence. Prepare deposition and trial examination questions. Provide support during discovery, depositions, and trial. Testify at depositions, hearings, or trials as expert health care witness. Researching and integrating healthcare and nursing literature, guidelines, standards, and regulations as related to the healthcare facts and issues of a case or claim. Reviewing, summarizing, and analyzing medical records and other pertinent healthcare and legal documents and comparing and correlating them to the allegations. Assessing issues of damages and causation relative to liability with the legal process. Identifying, locating, evaluating, and conferring with expert witnesses. Interviewing witnesses and parties pertinent to the healthcare issues in collaboration with legal professionals. Drafting legal documents in medically-related cases under the supervision of an attorney. Developing collaborative case strategies with those practicing within the legal system. Providing support during discovery, depositions, trial, and other legal proceedings. Testifying at depositions, hearings, arbitrations, or trials as expert health care witnesses. Contacting and conferring with vendors to develop demonstrative evidence or to collect costs of healthcare services, supplies, or equipment.